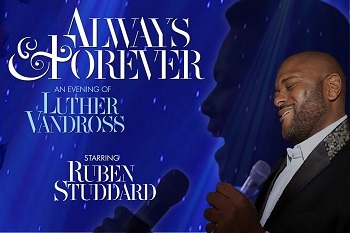 It’s a magical night out for Ruben Studdard fans and the millions of Luther Vandross fans who long for his music! There will never be another singer like Vandross, and no other voice comes closer to him than Ruben– the remarkable singer who was hailed as the “next Luther” during his American Idol run. In a production that is the closest thing to the experience of seeing the legendary Vandross in concert, the audience will be treated to timeless hits such as “Endless Love,” “Superstar,” “Never Too Much, “Dance With My Father,” ”Power of Love” and many more. 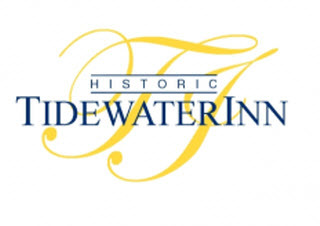 “Always & Forever” is produced by Stig Edgren – the creative force who staged events for numerous Popes and Presidents, and created “Elvis Presley – In Concert,” and Natalie Cole’s “Unforgettable” video. He has also designed shows for Earth, Wind & Fire and Gloria Estefan. Don’t miss this one-of-a-kind experience when it comes to the Avalon stage!